When I come to Australia I often eat a lot of Asian food. Last night was no exception as we went to a Thai restaurant for dinner. Khao Pla is in the Macquarie Centre just across from my apartment. 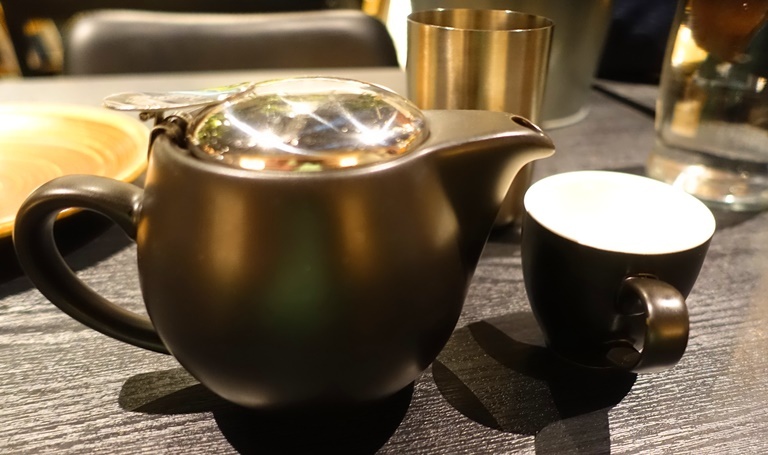 I started off my my dinner with a nice pot of tea, which to me is a great complement to an Asian meal. We ordered several dishes to share so we would get a wider variety of tastes. 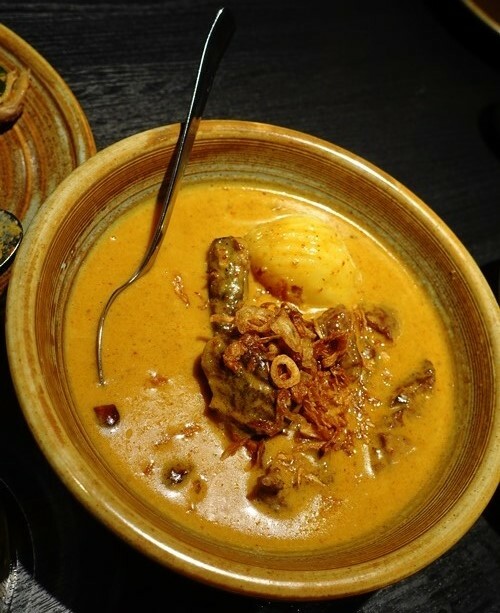 We started with Gaeng ped which is duck in a red curry sauce. It also had lychee, lime leaf, Thai basil, Thai eggplant and pineapple. The curry was really nice and I later had just some of the curry over rice. This was repeated for all the curries we had. 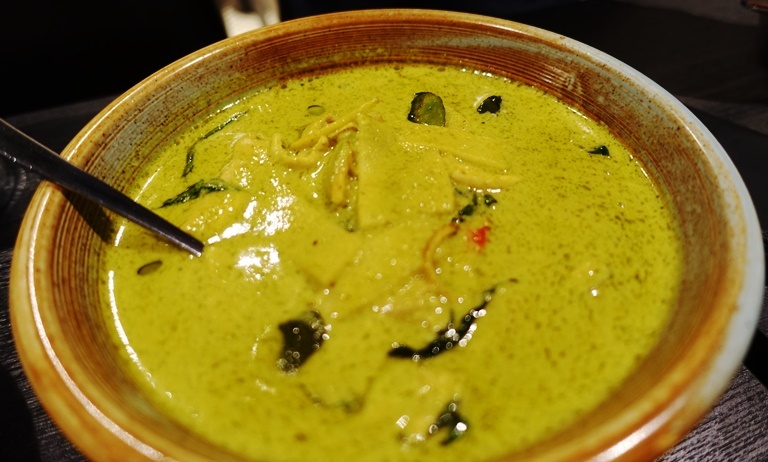 Next was Gaeng keaw wan which was a green curry with chicken, eggplant, ginger, chilli and basil. This sauce was a bit milder, but had a wonderful balance of textures and tastes. My favorite dish was a nice Massaman beef. The braised beef with a tamarind and palm sugar curry was really delicious. 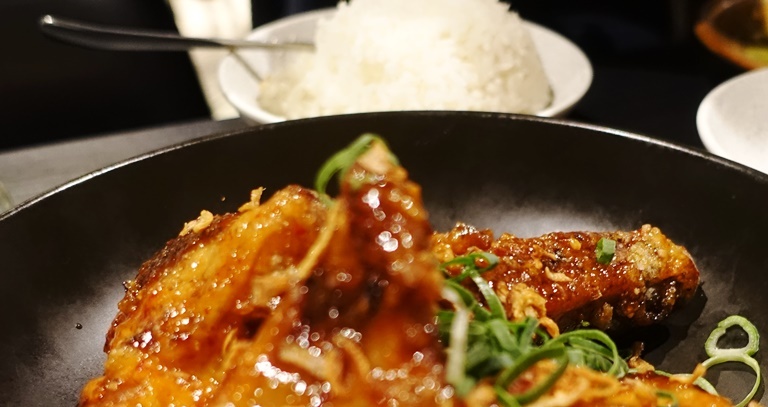 The restaurant is well known for their award winning Pla’s pork ribs. These ribs are twice cooked and are basted with a wonderful tamarind sauce. 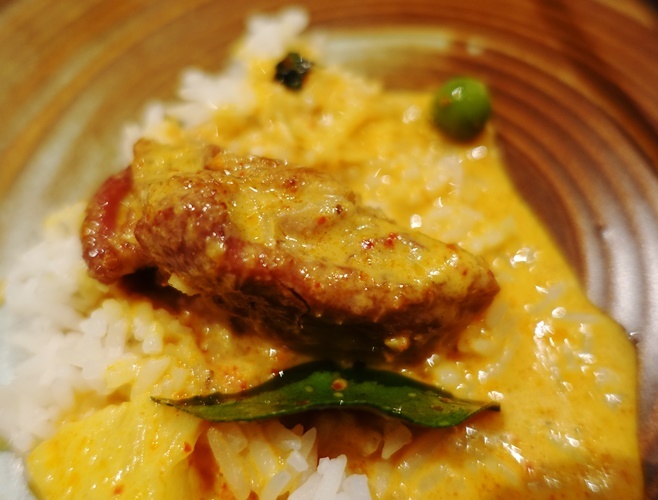 This entry was posted in Australia, Food, Travel and tagged Curry, Macquarie Centre, massaman beef, pork ribs, tamarind, Thai Cuisine, Thai Food. Bookmark the permalink.